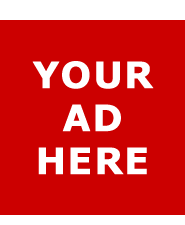 You can make good banjo music almost immediately with "Dr. Banjo" himself! 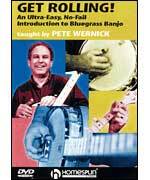 Pete Wernick has taught thousands of people, young and old, to play three-finger style bluegrass "Scruggs" picking. This super-easy lesson has been time-tested at Pete’s many workshops and music camps, and he will have you playing along in the very first minutes. With only two chords (one "open," the other using just two fingers), Pete gets you started strumming and accompanying ten bluegrass standards. By learning just one more easy chord, you are now able to play along with almost any bluegrass song. You’ll learn a sizeable group of favorites by simply strumming and changing chords in the right places. Getting started this way builds results and confidence quickly, and is extremely effective in learning timing, left hand, and "ear" skills -- all necessary for eventually playing in jam sessions. Next, it’s time for the basic banjo rolls that really start sounding like bluegrass picking! With just a four-note pattern, your banjo sparkles as you roll along with the video on all of the songs you’ve learned up to now. You’re ready to jam with Pete’s guest students Joel Adamson and Marie Steen, who show how strumming and picking work together on "Tom Dooley," 'Take Me Back to Tulsa" and "Long Journey Home." Finally, Pete shows more roll patterns: the Foggy Mountain Breakdown roll, the forward roll, and others. He closes with a lead banjo version of "When the Saints Go Marching In," using your new rolls. By now, you’re well on your way to becoming a real bluegrass picker. Download from PlayBetterBluegrass.com ! Banjo For Dummies is the latest book in our line of successful Dummies music titles. It will cover the basics on playing, from picking and strumming techniques to various banjo playing styles (from classic banjo technique to jazz theory). It will include finger patterns, chord positions, chord scales, single string technique, claw hammer picking and strumming, fingerboard charts, and more.